For the first time in 40 years, public library funding is being increased. The recently elected NSW Government will now provide $60 million in additional funding over the next four years for our public libraries. 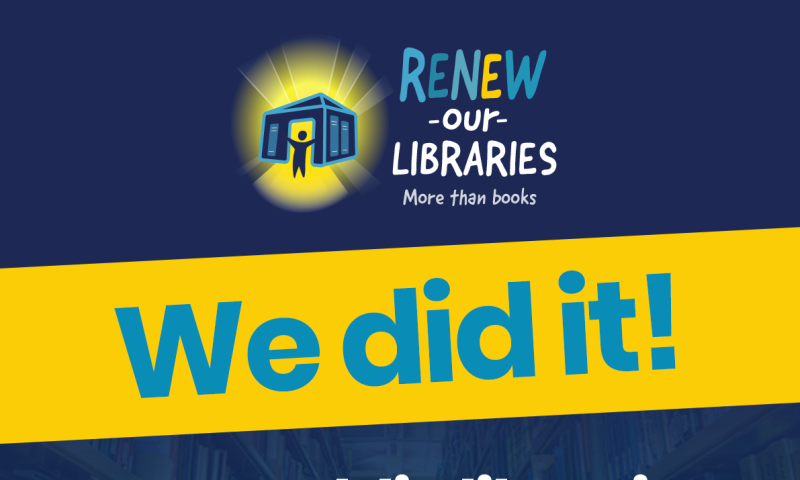 Since launching in 2018, the Renew Our Libraries initiative has worked tirelessly to shine a spotlight on how important public libraries are to our community, and save NSW libraries from a funding crisis. This additional funding will be used to maintain library opening hours, purchase new books and digital resources and provide much loved programs like children’s story time and Tech Savvy Seniors classes.